Looking for a new member of the family or interested in supporting a worthy cause? Here are a selection of some local pet charities and rescue organisations that work tirelessly to improve the lives of so many animals. We work closely with a number of local rescues, animal charities and homeless centres to provide them with low cost veterinary care but they are always in need of your help to enable them to continue their fabulous work. Please specify which of our supported charities you are making a contribution towards and we will confirm receipt and notify them immediately. No minimum donation and 100% goes towards your chosen cause – no admin or bureaucracy! 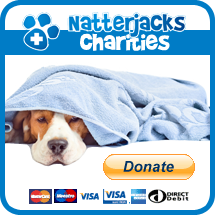 If you currently run or are involved with a local charity or animal rescue organisation that you think may benefit from our support then please email andy@natterjacksvet.com. We are always delighted to support any deserving cause that has improving animal welfare at its heart so please don’t be afraid to ask. We have access to numerous charity resources and can provide free or low cost treatment well below what other local veterinary surgeries may charge to ensure that your funds can be spent where they are most needed – on improving the lives of the animals themselves. Happy Dogs Rescue – One of the longest running and most well respected local rescue organisations, Happy Dogs Rescue was founded by Lyn Williams over 20 years ago and she still works tirelessly to rescue and re-home abandoned dogs – indeed she regularly shares her home with over 30 rescue animals at a time! Visit them here or on their facebook page. Cat Protection League – their first rehoming centre was opened in Ferndown in May 2012 – visit their website here. Find out about the assisted neutering scheme which may help towards the cost of neutering your cat at Natterjacks. DAWG dogs – Dorset Animal Workers Group is a rescue organisation local to the Poole / Bournemouth area run by Helen Griffiths and a group of dedicated volunteers. Like Dorset Dog Rescue they take in local animals as well as stray animals from dog pounds. Visit their website or their facebook page. B.L.I.Z.E rescue – specialising in Huskies and Husky crosses but other breeds are also rescued and re-homed. Locally-based but with a nationwide presence, they are another new rescue well worth supporting. Visit their website for more information. Friends of the Strays of Greece – established by local residents Mark and Lyn Purden in 1995 this charity has made a huge difference to so many abused and abandoned animals in Greece – find out more here. Animal Canopy – established locally in 2013 by local resident Debbi Tait and assisted by Jenny Russo this unique charity arranges numerous fundraising events to raise much needed funds for small local animal charities and animal welfare projects that often struggle to make ends meet. 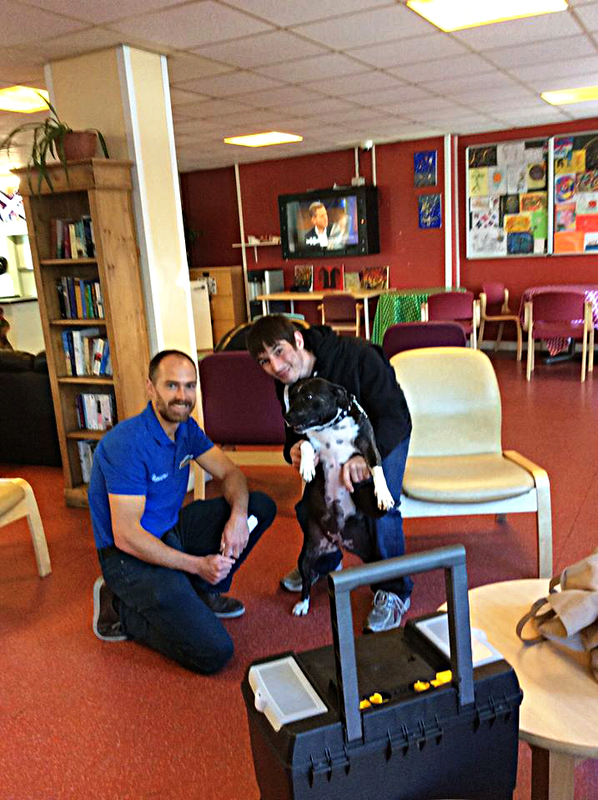 We have also successfully helped them to establish a free veterinary clinic for local homeless people. Visit their website and facebook pages for more info. Dorset Dog Rescue – a busy local dog rescue organisation who offer a second chance to stray and abandoned dogs and puppies from across the region. Utilising a large network of foster homes they will never turn away an animal in need and have successfully rehabilitated and rehomed many animals over the years, overcoming numerous challenges to ensure that they can continue with their worthy efforts. Visit their website and facebook page to find out more. RSPCA – based at Ashley Heath near Ringwood they have a great cattery but also dogs, ferrets, rabbits, hamsters and more all needing new homes – see here. Halkida Greek Animal Welfare – a relatively new Greek rescue charity based on the island of Evia in Greece. Established by Bournemouth-based Lynda and team, HGAW have achieved a great deal already and as as well as ensuring a better future for local stray dogs and cats they are also working hard to promote animal welfare and responsible pet ownership in Greece as a whole. See here for more information.